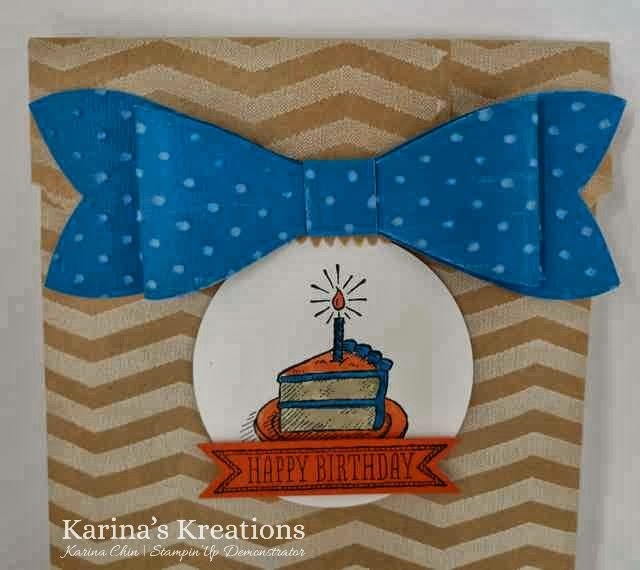 Karina's Kreations: Stampin'Up Gift Bow Bag! I want to share a cute gift bag you can decorate to put your gift card in. I even made you a video showing how to decorate the bag. I hope you like it!!! If you love this project, sign up for my newsletter. I added the instructions for a matching card and a quick tip video to my newsletter.